This was the sentiment of architect Dominic Galicia, former president of the International Council on Monuments and Sites, who denounced the demolition of the 83-year-old Angela Apartments in Malate, Manila in an article by the Philippine Daily Inquirer (PDI). The Angela Apartments, built by Ocampo in 1936, was considered one of the remaining pre-war Art Deco buildings in the country’s capital. It was presumed as an Important Cultural Property for being more than 50 years old, a factor cited in the heritage law (RA 10066) which protects it from any kind of demolition, exportation, and modification. However, it still wasn’t safe from suffering the same fate of its likewise historically significant but now demolished neighbors Admiral Hotel and Michel Apartments. It had to be demolished to make way to another high-rise commercial development, most reports say. Only this time, the demolition was done without permission from any cultural agency. Although the law states that the property owners, Manuel and Lilia Coromina, may petition the appropriate cultural agency to remove the presumption, the tearing down was still done without proper talks with any cultural agency. Wilmer Godoy, an architect and member of the Historic Preservation Division of the National Historical Commission of the Philippines (NHCP), told the Inquirer that the owners did write to the National Commission for Culture and the Arts to lift the presumption due to financial reasons. The request was referred to the NHCP which, upon discovering that the building doesn’t have national historical importance but does have architectural and aesthetic significance, sent it to the National Museum. 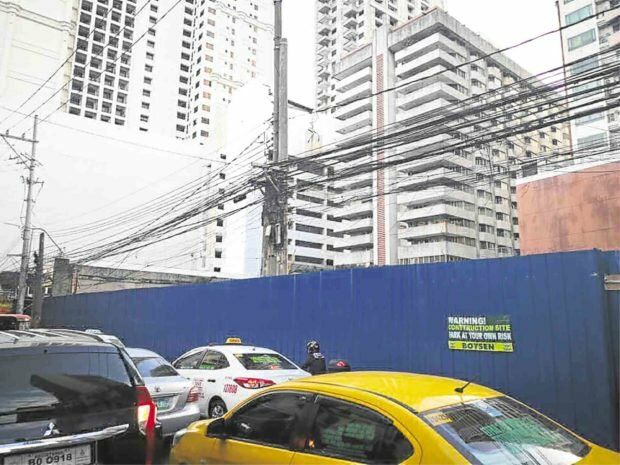 While the request was in the works, the property owners also filed an application for demolition to the Manila City Hall’s Office of the Building Official which gave them a green light to proceed with the demolition. National Museum director Jeremy Barns told the PDI that they were not consulted by the Manila City Hall before it was demolished. During the time when the owners’ petition reached them, the National Museum wanted to “explore whether at least the façade might be preserved, but it was still being determined whether the façade merited declaration as an important cultural property of national significance,” Barns says. The Angela Apartments is considered “a Manila landmark” by late heritage conservation architect and Inquirer Lifestyle columnist Augusto Villalon in 2002. It was one of Manila’s first multilevel residential buildings with an elevator. The architect, Ocampo, also reportedly applied elements to make the building adaptive to the tropical climate, Edgar Allan Sembrano wrote in a 2016 PDI article. Dubbed as the “Father of Modern Architecture in the Philippines,” Ocampo is most known for applying the Art Deco style in his works. Some of his renowned ones include the reconstructed Manila Cathedral and the University of Santo Tomas Central Seminary, a formally declared National Cultural Treasure by the National Museum. This is why it is only fitting for Galicia to say that Ocampo would loathe how his buildings are being treated. It is only one of the many heritage buildings massacred by the ignorant and ridiculous admiration of Filipinos for high-rise buildings.